Visa-free entry for overseas nationals for 2018 FIFA World Cup has been approved by Russia. They can use their personalized spectator card to arrive in Russia for the upcoming World Cup. This was announced by the official statement of the Government of Russia. The statement said that the bill for Visa-free entry for overseas nationals for 2018 FIFA World Cup has been approved by the government. The overseas nationals will be allowed to arrive through both the digital and paper personalized spectator cards. This will be permitted 10 days prior to the first match and the validity will expire on the day the last match is held. The bill also proposes to offer a free pass for railway travel for authorized mass media representatives. This will be offered based on their accreditation card and ID cards. Once approved by the Cabinet, the bill will be tabled in the lower house of the Russian Parliament. The final draw for FIFA World Cup 2018 was held on 1 December at Kremlin State Palace’s concert hall in Moscow. It was hosted by Maria Komandnaya the Russian journalist Gary and Lineker the UK football legend. The event witnessed participation from President of Russia and internationally renowned football players. These include Ronaldo, Ronaldinho, Pele, Peter Schmeichel, Aleksandr Kerzhakov, and Didier Drogba, as quoted by the Sputnik News. 32 national teams have been divided into 8 groups with 4 members each. 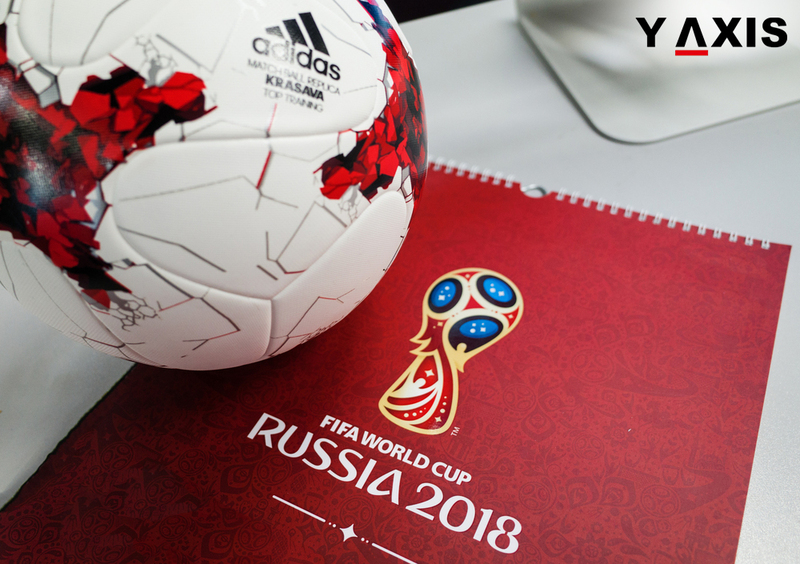 The FIFA World Cup 2018 matches will be held at Sochi, Yekaterinburg, Rostov-on-Don, Saransk, Samara, Nizhny Novgorod, Kazan, Volgograd, Kaliningrad, St. Petersburg, and Moscow. The opening match will be held between Russia and Saudi Arabia national teams. It will be held on 14 June at the Moscow Luzhniki stadium. If you are looking to Study, Work, Visit, Invest or Migrate to Russia, contact Y-Axis, the world’s most trusted Immigration & Visa Consultant.